The Elements EXP, Ambient / New Age Sample from Sample Logic. 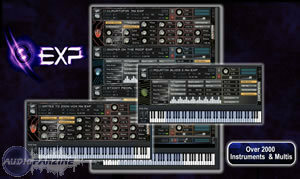 Sample Logic's virtual instruments "The Elements EXP" and "Synergy" are now compatible and installable on Receptor using Muse Research's "Direct Install" technology. Direct Install is part of Receptor Tools and can be accessed via the "Receptor Remote Control." The Receptor is a standalone hardware plug-in solution for composers and sound designers. This musical instrument is designed to take software-based synthesizers and effects processors and turns them into real instruments. 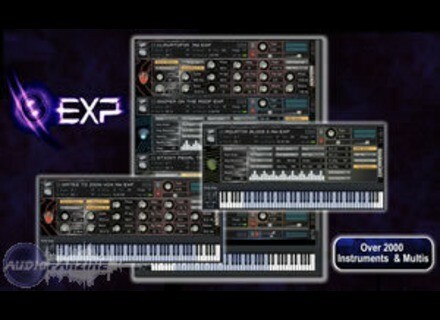 For more information, visit www.samplelogic.com. Puremagnetik TrapKit: Ludwig Drums Puremagnetik has released TrapKit for Ableton Live 8, Kontakt and Logic. TrapKit is "a vintage 1960's Ludwig drum set recorded in a large reflective room with a vast array of microphones." Geniesoft Updates Overture Geniesoft has updated Overture v4.1.0 to Patch 21.
ifoundasound Updates LiveProfessor ifoundasound has updated the beta version of LiveProfessor to v1.2.